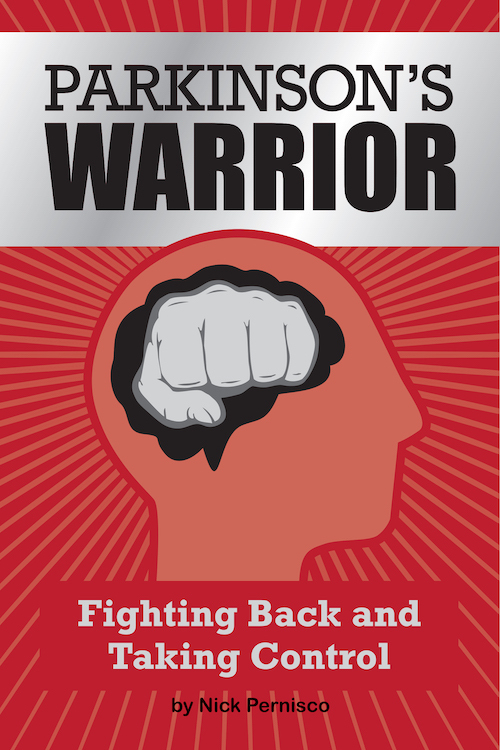 The Parkinson’s Warrior Book is now available! Buy it now! Nick Pernisco was busy with a promising academic career when a Young Onset Parkinson’s diagnosis at age 33 upended his carefully laid plans and almost derailed his life. This is the story of how he learned to cope and thrive – through education, self-care, and the power of adopting a warrior mentality. PARKINSON’S WARRIOR provides information and inspiration for all People with Parkinson’s to live a better, happier, and healthier life. Through the lens of his experiences and learnings, Nick shows you how to move past grief to fight back and take control, so you too can become a Parkinson’s Warrior.